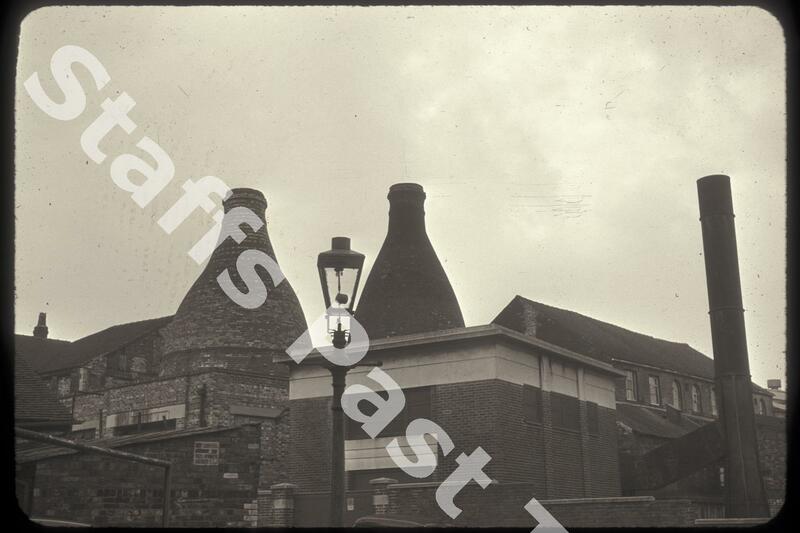 Description:This is the rear of Blyth Pottery on Sandgate Street (previously Gate Street) in Longton. The front of the works, operated by John Tams & Sons Ltd., was on Uttoxeter Road. These works produced earthenware. 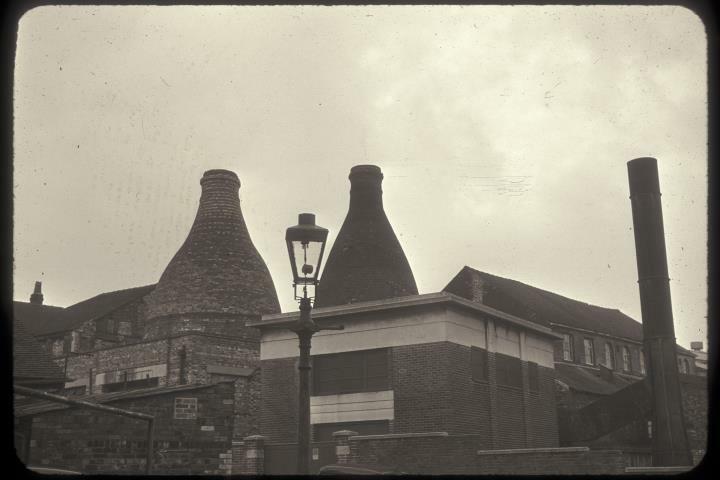 Previously, Blyth works had been the property of Dresden Porcelain Company from 1896 to 1904 and then the Blyth Porcelain Company until 1935 and then A T Finney. The square building in the foreground is an electricity substation on Sandgate Street which still stands and in front of that one of the old gas street lamps with the mantles clearly visible. The works have been demolished and the site and frontage onto Uttoxeter Road cleared.